Jibe Media: Blog | What's a Bethany? Where is she leading us? I guess we’ll just have to follow and find out. Obviously there are much better introductions to Bethany Sterzer – account coordinator extraordinaire – but this story illustrates the fact that even out of the office, Bethany has superhero skills, although her preference would be time travel. Why time travel? Well, she claims that she would like to erase the embarrassing and stupid things that she has done. While I’m sure it’s a short list, we all do embarrassing things sometimes. Some examples may include (but are not limited to) calling a person by the wrong name, parting your hair on the other side or forgetting where you parked your car. Further examples could be passing out during high school psychology class and hitting your head on a VERY cute boy’s desk, or paying ACTUAL MONEY for root beer barrels candy. 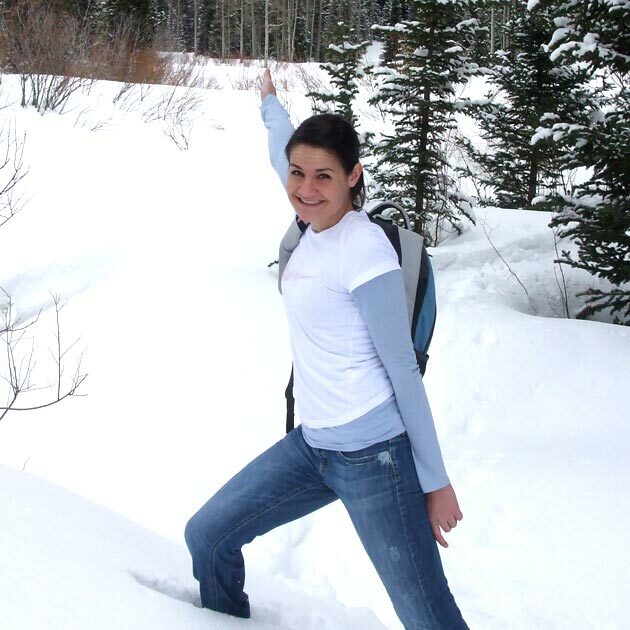 When she’s not at the office, Bethany loves to be outside playing volleyball, running, shooting guns or snowshoeing. She’s an active person who can hold her own on a Jibe Jog, and whose laughter can brighten and fill up a room. In preparation to write this spotlight I asked her who her favorite coworker is (obviously a loaded question), but she came back with a perfectly politically correct response that “It changes, but everyone works well together.” While it’s not juicy gossip, Bethany’s feelings toward Jibe are mutual. She’s an integral part of the team, who is great at her job, and fun to be around.